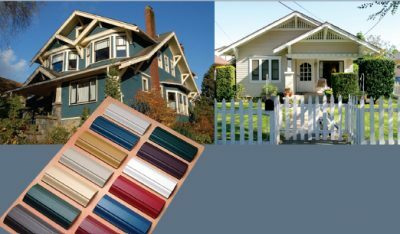 Olde Century Colors paints have been formulated to lead the renaissance of 18th and 19th century architectural interest with unsurpassed quality and color selection. Recapturing the tradition of the early American paint craftsman, our milk paints, acrylic latex paints and gel stains and varnishes are manufactured in small batches with the same meticulous attention to detail as our skilled forefathers. Olde Century Colors have been carefully selected from 18th and 19th century architectural examples.